After concluding their Sanctuary/Universal committments, Simple Minds considered a return to Virgin. The first part of this deal was to be the release of a compilation album. 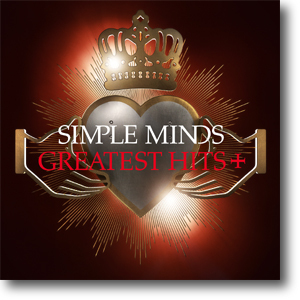 In September 2010, a new line-up of Simple Minds (with bassist Ged Grimes) used a gap in the touring schedule to record several new tracks for this proposed new compilation album, and the forthcoming new Simple Minds album, at the Sphere Recording Studios in London. The new songs were produced by Andy Wright and engineered and mixed by Gavin Goldberg. Four songs were recorded and mixed including an eight minute long version of In Every Heaven (originally recorded and shelved for New Gold Dream (81,82,83,84)), Broken Glass Park (originally a Lostboy! AKA song), Stagefright and On The Rooftop. The first news about Greatest Hits + (as it was then called) was unveiled by Jim during an interview with The Daily Record. However, another statement managed to slip into the write-up: " We'll be putting a new compilation together which will include some tracks from early in our career. We unearthed songs which didn't make it on to albums like Empires And Dance or Sparkle In The Rain. " This wasn't correct and was probably an earlier quote from an interview concerning the rarities compilation Silver Box. The initial plan was to release the album on two formats in May 2011 on the eve of the Greatest Hits Forest Tour. Both formats would include the new songs Stagefright and Broken Glass Park with the limited-edition definitive set being boosted by the addition of In Every Heaven. The signing with Virgin was delayed, which in turn delayed the release of the album. The release date was pushed back to August. However, Stagefright was first made available as an exclusive Facebook download on the 3rd June. Both new songs were played live during the tour, and the tour artwork and merchandise all carried the new "metallic claddagh" design. By August, the band had signed to Virgin and plans were in now place for X5 and the 5X5 Tour. So Greatest Hits + was then shelved until 2013 when it reappeared as Celebrate: The Greatest Hits +. A standard CD and limited edition 3xCD set were proposed. The track listing and artwork for the standard CD was completed. However, the 3xCD set only reached the stage of a rough set of notes outlining possible songs.